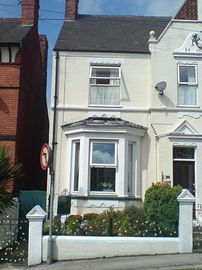 The Clarendon Guest House is a small, friendly, family-run Bed and Breakfast. We are located in the busy market town of Chesterfield and are within easy reach of the many popular attractions in the Peak National Park. 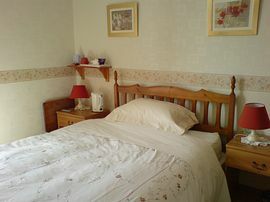 We have five guest rooms and most have en-suite facilities, refreshment tray and TV. Complimentary wi-fi access is available. 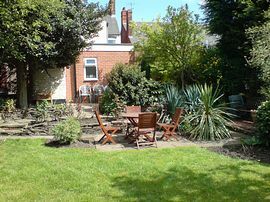 There is also an attractive garden for guests to enjoy. We offer a varied breakfast menu and special dietary needs can be catered for. 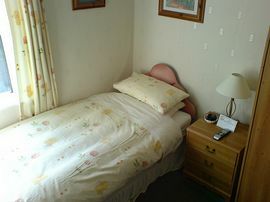 Whatever your requirements you can be assured of a warm welcome at the Clarendon Guest House. From junction 29 of the M1 follow A617 to Chesterfield (approx 4 miles). At roundabout select middle lane and take 2nd exit. At next roundabout select left lane and take 1st exit (towards Chatsworth). At traffic lights select right hand lane and go straight on. At next roundabout (traffic light controlled, B&Q) take 4th exit and turn immediately left onto Rutland Road. Take 2nd right (Albion Road). At crossroads turn right onto Clarence Road (one way street). Clarendon Guest House is a few yards down the road on the right hand side. Follow A617 to M1 motorway junction then follow route from North/South. At traffic light controlled roundabout (B&Q) select middle lane and take 2nd exit, turning immediately left onto Rutland Road.